Welcome to the June Newseltter. And what a few weeks we have ahead of us, with Lama Yeshe teaching here on the last weeked of June and Ringu Tulku teaching here on the first week of July. You wait months to see a great Tibetan teacher and then two come along at once! Any classes held in our workshop rooms will not be affected and will take place as planned. 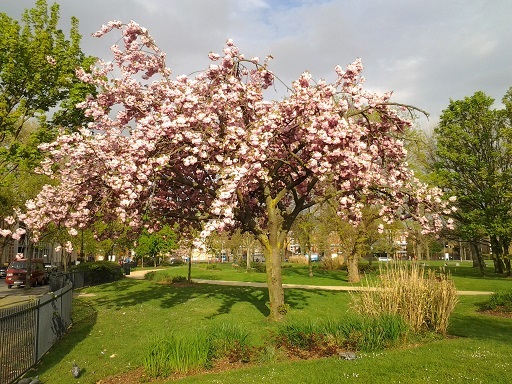 Amitabha Practice days - The Amitabha Practice day scheduled for Sunday 5th June has been moved to Saturday 11th June as the Sangha will be attending the Karmapa's teachings in Paris. For all the Amitabha Practice days, you are welcome to attend as many (or few) of the sessions as you can. Volunteer day Sun 12th June - It would be great to have a lovely clean Centre to welcome Lama Yeshe Losal Rinpoche...which of course means we need help with the cleaning! We would really appreciate any help you can offer on Sunday 12th June. Please let us know in advance if you can come, and please arrive either at 9.30am or 1.30pm. Raffle tickets in support of the Circle of Nourishment are now for sale from the office. Please buy lots of them and help sell them if you can. 1st Prize is a large, beautiful thangka of Shakyamuni Buddha, framed in brocade. There are other great prizes too! Tickets are £2 each. The winning tickets will be drawn by Choje Lama Yeshe Losal Rinpoche during the Courtyard Fundraising Party on Friday 24th June. Skills Auction - If you would like to offer your time and skills for the Skills Auction on 24th June, all in aid of the Circle of Nourishment, please get in touch with the office. 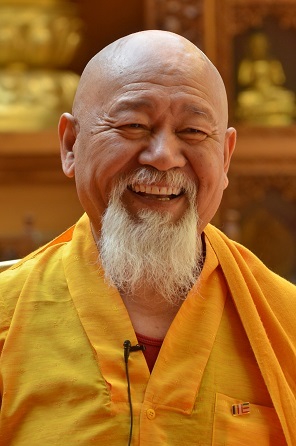 Over the weekend of 24th-25th-26th June we are delighted to welcome our precious Abbott Choje Lama Yeshe Losal Rinpoche, who has a full programme with teachings on Joyful Living Through Meditation, assisted by Ani Lhamo. Those of you who have attended Lama Yeshe's teachings before will know how busy things can get. To make life easier for all you are encouraged to book your place for the weekend using the PayPal button at the bottom of the event page. Lama Yeshe Rinpoche teaches through his experience of many years spent in solitary retreat, and gives meditation instructions and practical advice on how to integrate the teachings into everyday life. Be prepared to enjoy live music, excellent food, not to mention the thrill of our exciting auctions. If you want to formally become Buddhist by taking refuge, please let the office know in advance. During the ceremony everyone presents an offering and a white kata (scarf). There will also be an opportunity to take precepts at this time. Everything will be explained beforehand in Ani Lhamo's talk. Birthday Celebration for His Holiness Karmapa during which there will be an opportunity for everyone to come up and offer a Kata to the throne of His Holiness. We have made some changes to this morning's programme, please see the updated programme below. 10.30 - 12.00 pm Offerings to the Sixteen Elders (Neten Chagchod,) Aspiration Prayers and Guru Rinpoche Shower of Blessings Tsok Puja attended by Lama Yeshe Rinpoche and Venerable Master Hai Tao. These prayers will be dedicated to the long life, good health and continuing activity of His Holiness 17th Gyalwang Karmapa Ogyen Trinley Dorje on his birthday, as well as celebrating the Anniversary of Samye Dzong London. Everyone will be invited to offer a kata to the throne of His Holiness. Offerings of fruit, flowers, nuts, snacks etc are welcome for the tsok puja. 2.15 - 2.45 pm Children's Blessing with Choje Lama Yeshe Rinpoche (babies, children and young people of any age are welcome for this). The full programme for Joyful Living Through Meditation with Lama Yeshe (24th-25th June) is now available on the website. Due to the numbers of people expected to attend we suggest that you book in advance. Donations for the weekend can be made using the PayPal button at the bottom of the event page. We are very pleased to welcome Ringu Tulku Rinpoche to teach again at Kagyu Samye Dzong London on the weekend of the 2nd-3rd July. Ringu Tulku Rinpoche is a Tibetan Buddhist Teacher of the Kagyu Lineage. He was trained in all schools of Tibetan Buddhism under many great masters such as HH the 16th Gyalwang Karmapa and HH Dilgo Khyentse Rinpoche. He took his formal education at Namgyal Institute of Tibetology, Gangtok and Sampurnananda Sanskrit University, Varanasi, India and has served as Professor of Tibetology in Sikkim for 17 years. He is know for his warm and humorous teaching style, and will teach in English. This weekend Ringu Tulku will teach on the meaning of the Wheel of Life and the Twelve Links of Interdependence. Full details of the programme are available on the website. As this will be a busy event please book your place in advance to make sure we have seats available. Ringu Tulku Rinpoche will be teaching on The Wheel of Life and the Twelve LInks of Interdependence on Saturday 2nd July, 11.00-5.00 pm and on Sunday 3rd July from 10.00 - 4.00 pm. You can book your place using the PayPal button at the bottom of the event page. This course is suitable for those who would like to engage with spiritual practice, Buddhists and non-Buddhists alike, on a practical daily level. A day of Amitabha practice and mantra accumulation dedicated to the swift return of our precious Founder and Teacher, Chöje Akong Tulku Rinpoche. Offerings for the Shrine are welcome. Help us give Kagyu Samye Dzong London a good clean before the visit of Chöje Lama Yeshe Rinpoche (see above). Please let us know in advance if you can come. Film night - "Never Give Up - the Heart of Compassion"
Come and join the Sangha for a day of silent meditation practice.